Nothing’s better than the feeling of riding a stock market rally. And nothing’s worse than having to watch it from the sidelines because of limited funds. Stocks can be expensive, no doubt, but that doesn’t necessarily mean you can’t participate in rallies. It’s possible that call options can provide a lower-cost substitute so you can join in. That's the good news, but as you might imagine there's a bit more to it than just committing less capital than you would to a similar size stock position. While stocks can and do sometimes fall to a value of zero, it's very unusual, but with options it's a common occurrence. Call options give the buyer of the contract the right, but not the obligation, to buy a stock at a specified price, called the strike price. The value of the call option generally increases if the underlying stock (or index) increases. The option decreases in value when the underlying decreases. Call options can cost less than buying an equivalent position of stock. The price of the option, called the “premium,” plus transaction costs, is the total risk the call buyer assumes. For instance, let’s say that stock XYZ is currently trading at $97 per share. 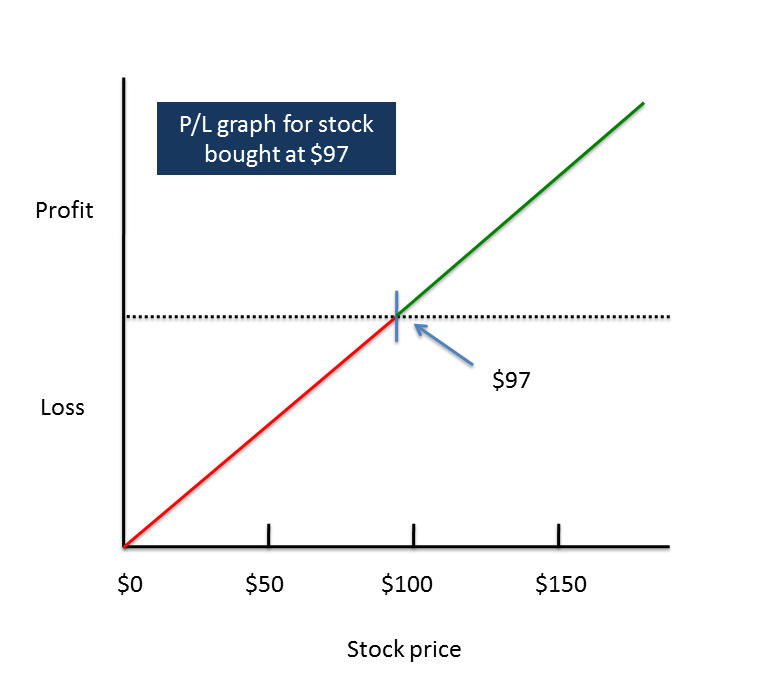 The profit and loss graph in figure 1 shows unlimited potential profit, which of course is what everyone’s after, but it also shows $97 worth of risk. Granted, stocks don’t usually go to zero. But a loss of 10%, 20%, or even more isn’t unheard of. FIGURE 1: PROFIT AND LOSS OF XYZ STOCK. The maximum potential profit of owning a stock is unlimited, while the maximum loss happens if a stock goes to zero. For illustrative purposes only. Past performance does not guarantee future results. Compare the stock’s P/L graph to the one in figure 2, which represents a long (purchased) call. Because stocks can move higher without limit, the same profit potential exists with a call option. 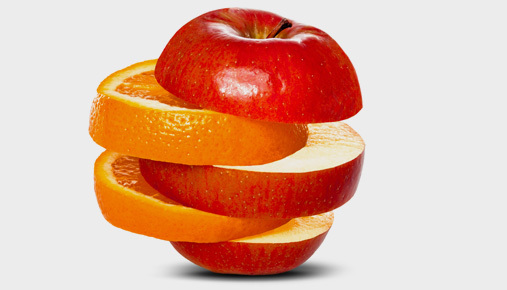 The downside risk, however, is where you’ll see a difference between the two. As with stock, the total risk of a long call is the purchase price. But while the cost can be significantly less, the risk can be drastically higher, too. Unlike stocks, options quite literally decay and expire. While our example earlier mentioned that losses on a stock trade of 10 to 20% are common, those buying options are looking at a serious possibility of losing 100%. This is one reason why if long options are "definitely right for some" they are "definitely not right for all." FIGURE 2: PROFIT AND LOSS OF XYZ $80 CALL. The maximum potential profit of owning an $80 call option on XYZ is unlimited. The maximum loss is limited to the amount paid for the contract. For illustrative purposes only. Past performance does not guarantee future results. For example, a call option with a strike price of $80, with just over three months until it expires, costs $18. Options are priced on a per-share basis, but the option contract controls 100 shares. So this option controls 100 shares for a total price of $1,800, plus transaction costs. This is much less than the $9,700 needed to buy 100 shares of XYZ. As explained earlier, the other key difference is that if the stock owner loses $1,800 of value in the stock position, they still hold stock worth $7,900, while if the options owner loses $1,800 dollars of value, they then hold nothing. If call options can produce similar profits to stocks, yet for less cost, what’s the catch? First, remember that call options don’t always move at the same rate the stock does. The amount that the call option changes by is called the delta. Suppose the 80 strike call in our example has a delta of 0.90, so the call should rise by $0.90 for every $1 rise in the stock. Here, an owner of 100 shares of stock makes $100 in the $1 move higher, while the call owner makes $90. A second issue to be aware of is that option prices are subject to change based on how much the market thinks the stock itself can move. This is implied volatility. The third issue is that unlike stock, the owner of a call option does not receive any dividends. Finally, and importantly, the breakeven price for a call option is higher than where the stock is currently trading. You can find the breakeven price at expiration by taking the option premium and adding it to the strike price. 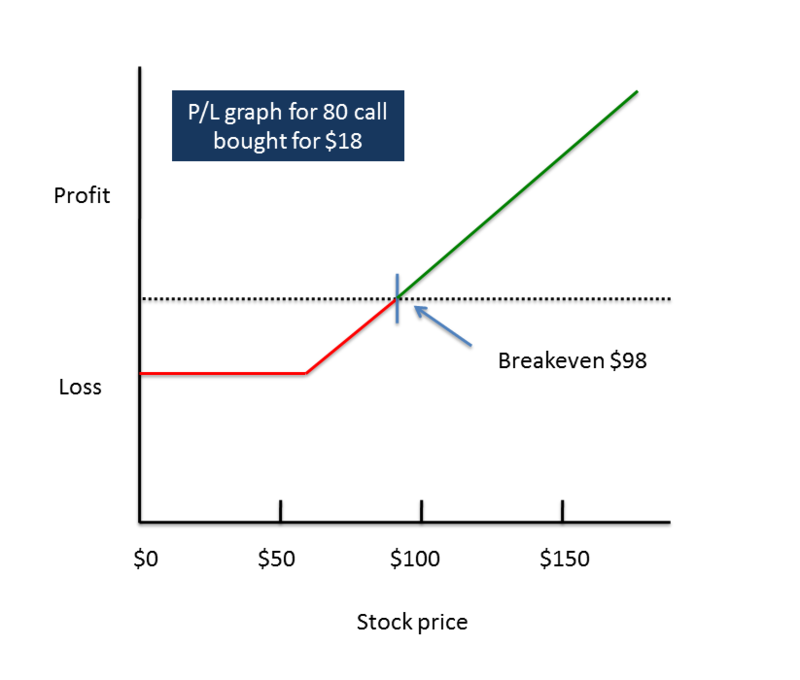 In the example above, the breakeven on the call option is the amount paid for the option ($18 plus transaction costs) plus the strike price of the option ($80 plus transaction costs). So the breakeven on the call option is if the stock is trading at $98, plus transaction costs, which is over $1 higher than where XYZ is currently trading. All in all, there are times when you might find that in-the-money calls can offer lower cost and are a more risky substitute when buying the stock itself is cost prohibitive.